The perfect choice for sun rooms and conservatories, pleated blinds combine the key elements of flexibility, design and performance that sets them apart from other blinds. Choose these to provide a true focal point to any room or to provide the necessary control for heat and light in a conservatory or atrium. Available in both 20 & 25mm pleats, our stunning collection contains a number of features that will assist your comfort and enjoyment. SPC (solar protective coating) and SPF (solar pearlised finish) treated fabrics have advanced solar & optical properties that will reflect & filter light to help reduce heat build up in your room. ESP fabrics also create high quality blackout blinds. 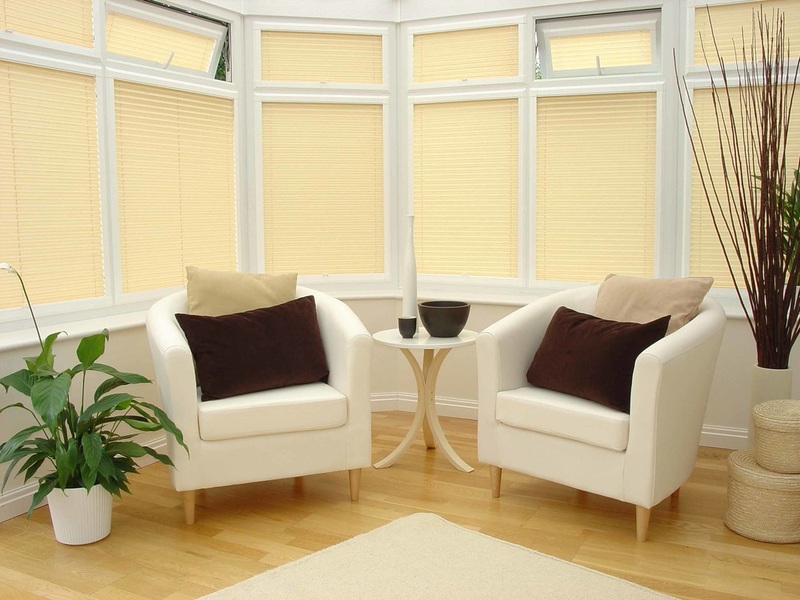 Pleated blinds can be fitted at your windows in a variety of ways. The standard option is pulled up and down using a control cord, and there is also a simple ‘tab’ operated alternative that can be pushed into position, without the need for cords. 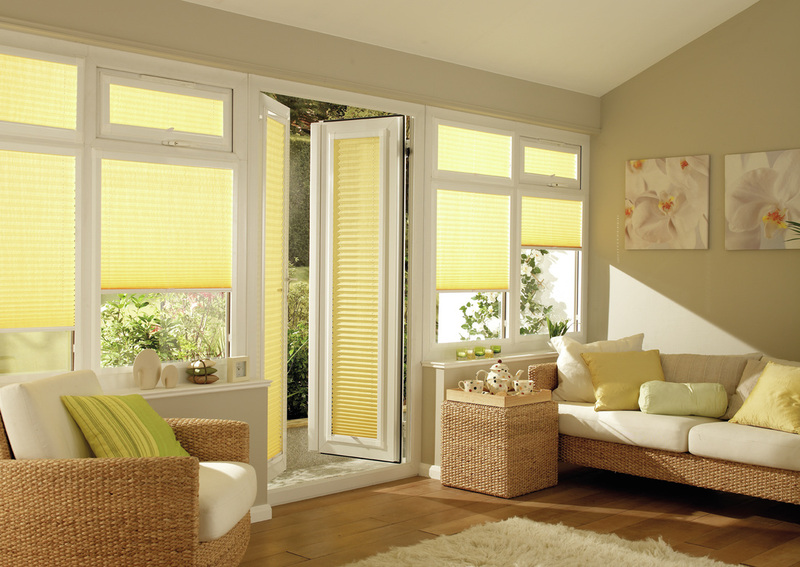 'Perfect Fit' frames, which clip into uPVC windows, are also designed to be fitted with pleated blinds.